Though we recently had a cold spell, thankfully warmer weather has returned. But, given that it’s January and February is just around the corner, this is no time to risk home damage from frozen pipes. Use the warm weather now to inspect your water lines, insulate them if necessary, and prevent burst pipes from ruining your home and property. 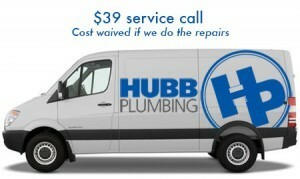 Call Hubb – your qualified plumbing service experts. We’re your best friend when it comes to helping you prepare for cold weather. We’re well equipped to handle clogs, drains, and new plumbing fixture installations. Let us check your home for any potential plumbing problems you think you might have!